Hiromi Sulu, III is the oldest son of Hiromi Sulu, Jr and Su Yung-Sul born in 2359. 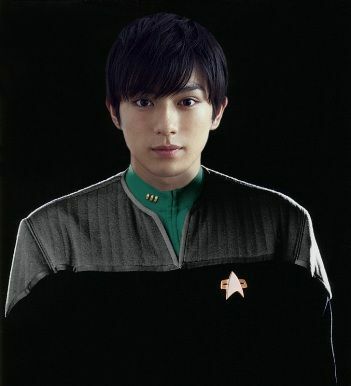 Hiromi's is the great grandson of the legendary Hikaru Sulu and his Aunt Akako is on the Enterprise-E as the Helm Officer. He is the first Sulu to enter Starfleet and not pursue a career as a helmsman electing to enroll in the Medical Academy to become a Doctor. At the Academy Hiromi is excelling in his studies and during the middle of the first semester of his third year he was assigned to the USS Enterprise, which was now a training ship, giving Hiromi the chance to meet his great grandfather. After recently losing his "uncle" Pavel seeing a young version of Chekov was hard on the young man.